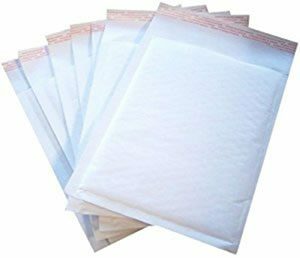 Padded Envelopes also known as Jiffy Bags have a lightweight design and provide valuable extra cushioning to products in the post or in storage. These strong bubble wrap envelopes are tear and puncture resistant and are ideal for protecting against shocks during transit. With a wide range of Padded Envelopes / bags sizes in stock, you can be sure to find the postal bag to fit your product. For extra security choose our Mailmiser bags with a peel and stick barrier seal. Or for extra strength and fragile items, try our heavy-duty Jiffy bags made from tough 120 gsm paper and strong welded sides. Remember, our packaging specialists are here to help.